Widgets that are designed to work for any of the GUI backends. All of these widgets require you to predefine an matplotlib.axes.Axes instance and pass that as the first arg. matplotlib doesn’t try to be too smart with respect to layout – you will have to figure out how wide and tall you want your Axes to be to accommodate your widget. Widget that is connected to a single Axes. The parent figure canvas for the widget. If False, the widget does not respond to events. Connect callback with an event. This should be used in lieu of figure.canvas.mpl_connect since this function stores call back ids for later clean up. Disconnect all events created by this widget. Return True if event should be ignored. This method (or a version of it) should be called at the beginning of any event callback. 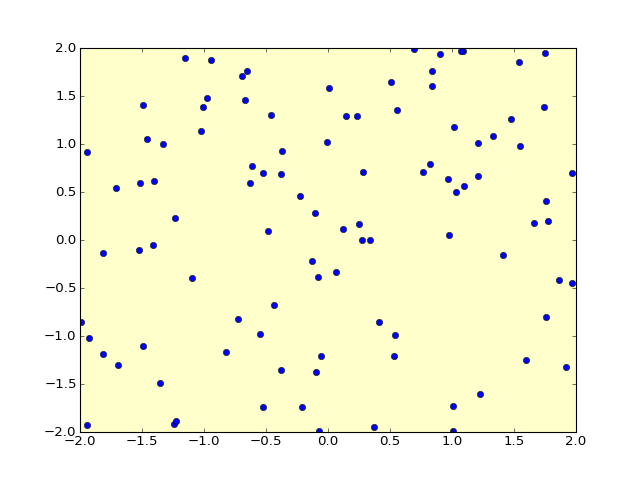 The matplotlib.axes.Axes the button renders into. The color of the button when not hovering. The color of the button when hovering. The matplotlib.axes.Axes instance the button will be placed into. The button text. Accepts string. The image to place in the button, if not None. Can be any legal arg to imshow (numpy array, matplotlib Image instance, or PIL image). List of (line1, line2) tuples for the x’s in the check boxes. These lines exist for each box, but have set_visible(False) when its box is not checked. Add a cursor to ax. If useblit=True, use the backend- dependent blitting features for faster updates (GTKAgg only for now). lineprops is a dictionary of line properties. Selection curve of an arbitrary shape. The selected path can be used in conjunction with contains_point() to select data points from an image. Unlike LassoSelector, this must be initialized with a starting point xy, and the Lasso events are destroyed upon release. The parent axes for the widget. Coordinates of the start of the lasso. Whenever the lasso is released, the callback function is called and passed the vertices of the selected path. In contrast to Lasso, LassoSelector is written with an interface similar to RectangleSelector and SpanSelector and will continue to interact with the axes until disconnected. Whenever the lasso is released, the onselect function is called and passed the vertices of the selected path. drawtype = 'line', drawtype='box' or drawtype = 'none'. Use this to activate / deactivate the RectangleSelector from your program with an boolean parameter active. Used to constrain the value of this slider to the values of other sliders.